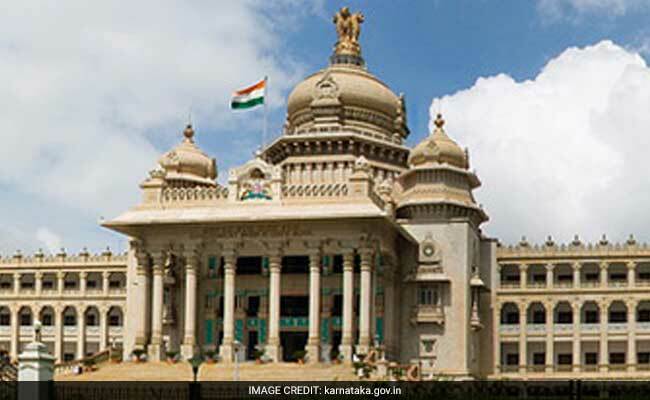 Karnataka assembly sentenced two reporters to a year in jail and a fine of Rs 10,000 for writing allegedly defamatory articles on Speaker KB Koliwad and a few other lawmakers. Karnataka assembly has given a year's jail term and a fine to two journalists. Bengaluru: Lawmakers should "not act as complainant, prosecution and judge," the Editors' Guild of India said today, condemning last week's order of the Karnataka Assembly to arrest and fine two journalists for writing articles that it alleges are defamatory. The order, the Guild said, was a "gross misuse of powers and privileges of a state legislature". The journalists, Anil Raj and Ravi Belagere, who were punished with a fine and a year's jail term, have gone missing after the Karnataka police said they would carry out the assembly's order and arrest them. The Editors' Guild of India in its statement today asked the assembly to withdraw its order. It said the decision to sentence two journalists to jail "violates" the fundamental right of freedom of speech and freedom of Press. The guild said the "right to try and sentence journalists for defamation vests with courts" and pointing out that while the legislature can punish anyone for breach of privilege, what constitutes a "breach" and what punishments can be given are not clearly defined under Assembly rules. Ravi Belagere, who works with a Kannada daily called "Hi Bangalore", went missing today after being released from a hospital in Dharwad where he had been admitted two days ago. Mr Belagere had reportedly written articles about three years ago that the present Karnataka Speaker KB Koliwad alleges defamed him and other lawmakers. The police said Anil Raj, who works with another Kannada daily, "Yelahanka", cannot be traced either. He had written an article that allegedly was defamatory to SR Vishwanath, the lawmaker who represents Yelahanka. Last week, the two journalists were sentenced to a year in jail and a fine of Rs 10,000 by the Karnataka assembly, after a unanimous resolution, the first time ever that the house took such a step. The resolution was passed on a complaint filed by Mr Vishwanath, who is also a member of the House Privileges Committee which recommended the punishment. Journalist Anil Raj and today the the Editors' Guild have asked how Mr Vishwanath could be both complainant and judge. Kimmane Ratnakar, who heads the Privileges Committee, has said Mr Vishwanath was not present when the panel questioned Mr Raj. In a video message released earlier from the hospital, Mr Belagere said he could go to court against the assembly's order. "This government only has one more year to go. Their life is over. Why do you hold me responsible for anything?" he is heard saying in Kannada in the video. Elections will be held in the state next year. The Congress government of Karnataka has distanced itself from the controversy. "The government has no role to play in this. There was a complaint by an MLA - the Speaker had referred it a legislature committee," state law minister TB Jayachandran has said. On Friday, Amnesty International criticised the assembly's move. "Journalists must have the freedom to write critical articles. If individuals feel that their reputations have been affected, they can take recourse to civil defamation remedies in court," the statement read.